Let yourself be lured in by the charm of the Orient, just 55 minutes by train from Paris, in the heart of Tours France. Les Portes de l’Orient Riad will seduce you with the perfect combination of traditional Oriental design and architecture with modern luxury, where you can immerse your senses in the sights and sounds of the Orient. 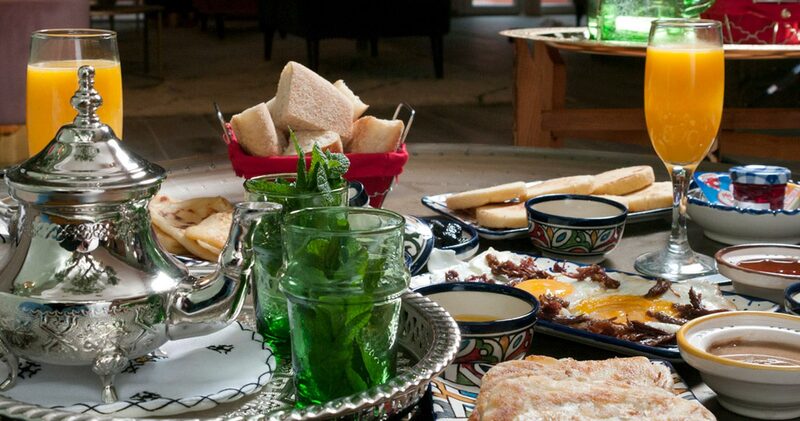 Our Riad is so much more than just another guest house or hotel, it is an experience in itself. If you’re looking for an unforgettable holiday, then look no further than Les Portes de l’Orient for your next getaway and discover the city of Tours in an entirely unique way. Les Portes de l’Orient is the perfect setting for your trip, whether you’re travelling for business or leisure. All of our suites have been individually decorated, drawing inspiration from the tales of the One Thousand and One Nights, Majorelle Gardens, Timimoun and Pamukkale’s visions of cotton castles to uniquely channel the charm and the ambience of the Orient to bring you an authentic East meets West experience. Let yourself drift off in the sweetness and delicacy of this sumptuous suite. Inspired by the hot springs and cotton-like mineral residue of Pamukkale, you can enjoy an inviting space where you can feel completely at ease in your very own cotton castle. Inspired by the famous Persian and Indian tales, the stunning One Thousand and One Nights suite offers you a wealth of Oriental inspiration to travel and escape to. This stunning suite mirrors the blue depths of the Majorelle Garden. Jacques Majorelle, Pierre Bergé and Yves Saint Laurent, have all sought tranquility and have found refuge in the lush gardens of Marrakech; with our Majorelle suite, you can do the same. Our Timimoun suite invites you to travel in the sand dunes and the vast Atlas Mountains. It will seduce you with it’s traditional geometric decoration and stunning colour! 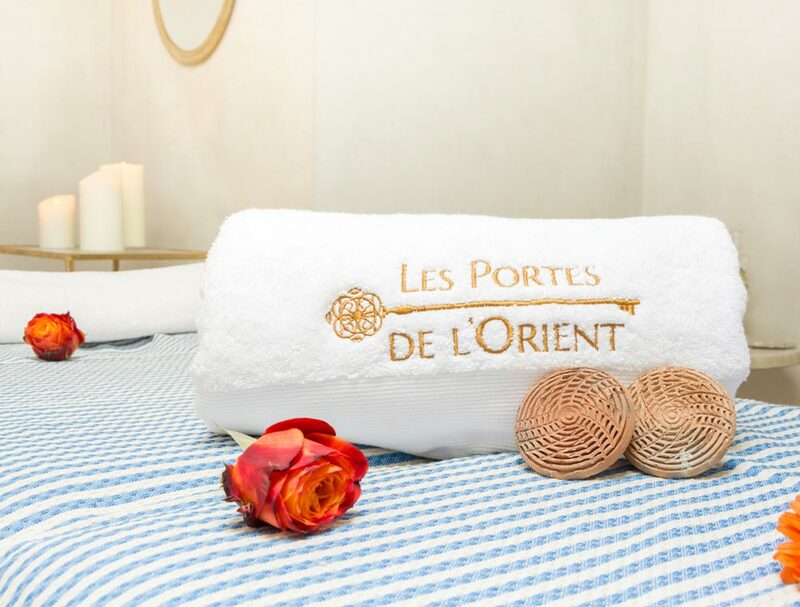 Les Portes de l’Orient invites you to discover traditional Eastern relaxation and wellbeing. Whether you’re looking to connect and unwind as a couple, are looking for a traditional Eastern treatment whilst away with friends or need to de-stress at the end of a busy work day, let us take care of you. Come and discover our wellness and beauty area. Les Portes de l’Orient Riad invites you to enter the magic of oriental cares and massage thanks to all of the world’s rituals. 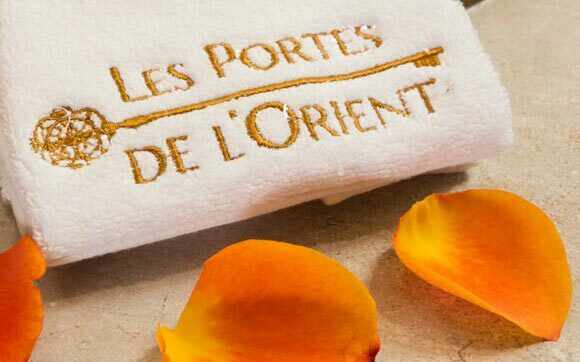 We invite you to explore your senses by discovering the flavours of the world with us here at Les Portes de l’Orient. The Orient offers a range of truly exceptional flavours, let us seduce your senses with a range of authentic dishes that will tantalise your tastebuds. Comprising of overlapping traditions and cultures, Oriental cuisine has mastered maintaining the originality of the taste of each individual country whilst also coming together as a mosaic of tastes and scents of the region. We invite you to discover the traditional cuisine of the Orient prepared by our chefs. you can organise any type of event for the perfect experience in our Riad. If you’re looking for an unforgettable space to host your special event, from bachelor parties to engagement, birthday or even baptism parties, our stunning space will ensure your guests have an unforgettable time filled with memories to cherish for years. Whether you’re holding a seminar, meeting or training session, the setting of our Riad will surprise and delight your employees and colleagues alike. At the end of your session, why not treat your employees to a relaxing treatment or delicious meal? We have a private shuttle service to make your journey simple and to ensure you start your trip in comfort for a small supplement. You can enjoy our beautiful veranda and our terrace to relax and enjoy the stunning views of the surrounding Tours. We have a spa with a jacuzzi (available from mid-April) and a hammam. In addition, we offer services such as a range of massages on reservation and with supplement. We can provide a laundry service for an extra supplement and by reservation. Enjoy a daily breakfast served between 7am-10am, comprising of gourmet Oriental specialities. Enjoy the views from our beautiful veranda or lobby accompanied by a welcome drink. Take advantage of our complimentary high speed Wi-Fi included with your stay at the Riad. Complimentary access to the streaming service, Netflix, in your bedroom is included with your stay.